It’s believed that teams are calling Senators. The Matt Duchene trade hasn’t worked out as planned just yet. The Senators may look at making a move on their blue line, as they’ve looked bad at times in their own zone. The Senators have never been interested in trading defenseman Cody Ceci, but the 23-year old may be their most tangible asset. Teams are likely asking for Ceci, but the Sens were reluctant to move him a Duchene trade – needed the Predators to get involved to get the deal done. 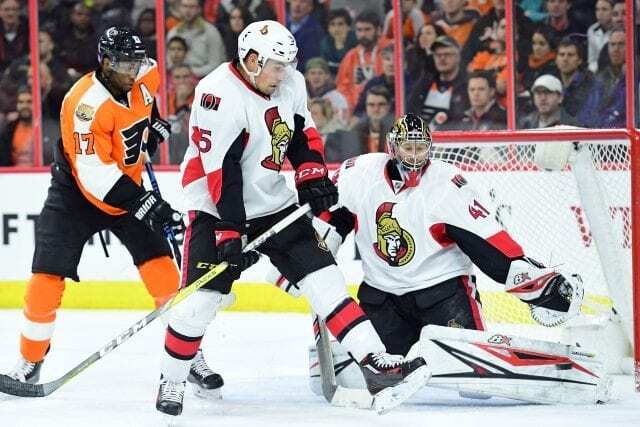 Chris Nichols of FanRag Sports: Darren Dreger was on TSN 1260 on Monday talking about the Philadelphia Flyers and how he thinks the Flyers want to remain patient. Dreger says that he believes the only way GM Ron Hextall would fire head coach Dave Hakstol would be because of pressure from ownership. “So then you’re left with making a trade. And it depends on the pieces that he’s willing to part with. If he were ever willing to trade Wayne Simmonds, well, there would be people lining up to acquire Wayne Simmonds. But beyond that, it gets a little more complicated because anyone looking at the Philadelphia Flyers would be trying to pick his pocket, and would want some of his younger guys.